The room was good. The front desk and the driver were exceptionally great. Very pleasant and helpful and a great asset. 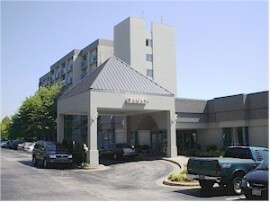 We have used this place before when it was the Ramada and we will use it again. Very nice room. It was our second stay there. Would go back again. Alisha was great and thoroughly helpful. As usual everything was terrific. This is an old property so may not be the most appealing from looks, but it is always clean and the staff is friendly and courteous. The hotel shuttle is always quick to respond to requests. We have been staying here every time we travel for about 10 years. Rooms clean, comfortable. Close to BWI and shuttle is always available. Used the Clarion for the park, sleep and fly program. Very comfortable, staff was friendly and nice breakfast before we left for airport. Typically we fly out of Philadelphia but flights were so much cheaper from Baltimore and the convenience of parking your car at the hotel and using the shuttle is an added benefit. Would definitely use them again!